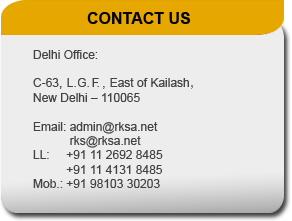 RKSA Corporate Solutions Pvt. Ltd. 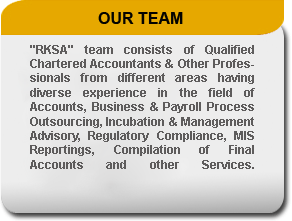 Welcome to "RKSA Corporate Solutions Private Limited"
RKSA Corporate Solutions Pvt. 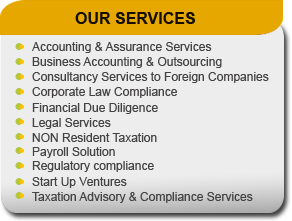 Ltd. ( here-in-after referred as “RKSA” ) was established with the objective of providing a wide range of services like Accounts & Business Process Outsourcing, Payroll Management, Legal Process Outsourcing, Process Handling, M&A Advisory Services Regulatory Compliance & Legal HR Services and Financial Services to clients. 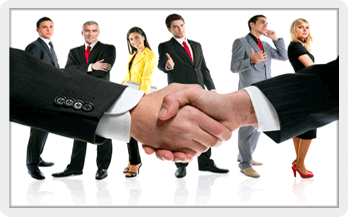 We aspire to be acknowledged as a quality service vendor globally, with its base at New Delhi (India) . We continue to drive ourselves forward as the demands of the business and commercial environment develop and the needs of our clients evolve.